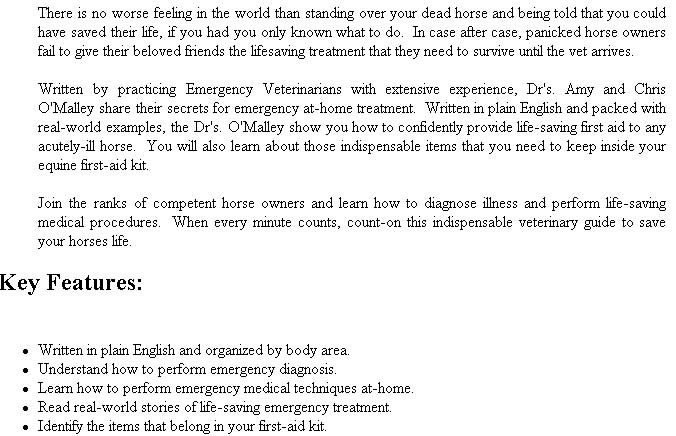 Every second counts, and this concise book to horse first aid will guide you until the vet arrives. An important horse first aid book to have in those times of need. 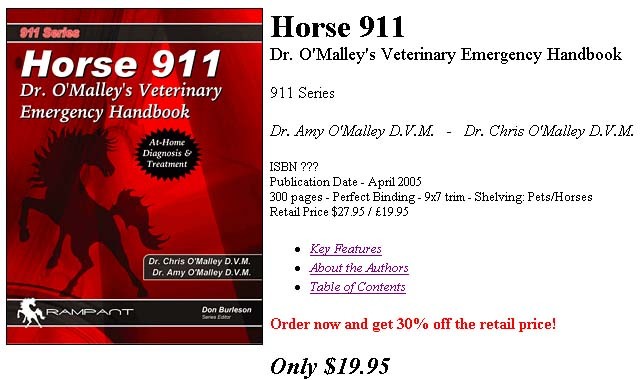 Horse first aid, horse first aid kits and emergency techniques are covered in this "must have" book.